Here we intend to chronical the adventures and appearences of the great Canadian superhero icon ... Captain Canuck. This site is not intended to violate any copyrights. Captain Canuck is copyright (C) Captain Canuck Incorporated and Richard D. Comely. All Rights Reserved. 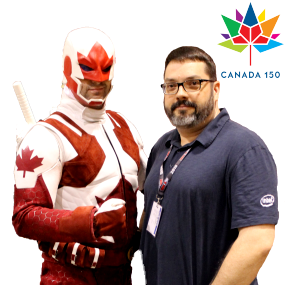 Please visit WWW.CAPTAINCANUCK.COM for official news and information.